The Pressure Welding module is specifically designed for the process simulation of resistance (spot) welding, friction welding and friction spot welding processes. Please note: For the structural simulation of resistance spot welding processes, which are often employed in the automotive industry, Simufact offers an independent application module. 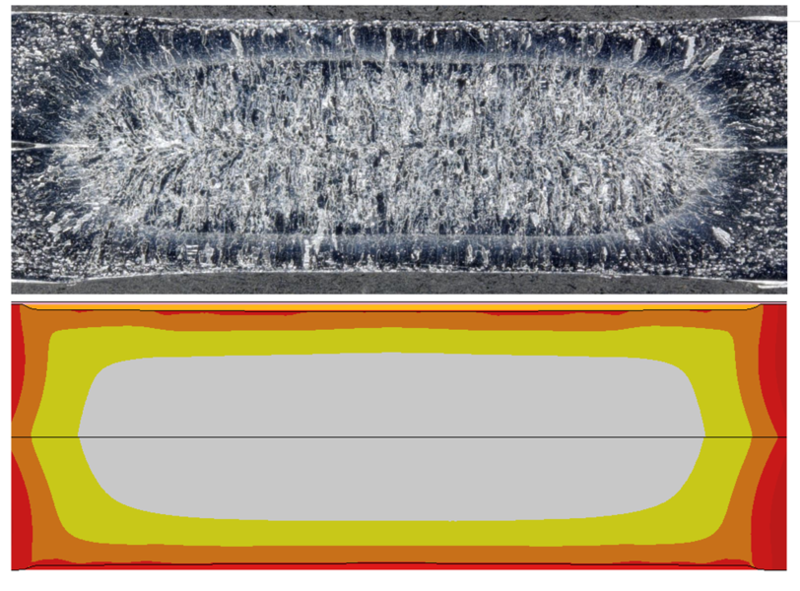 The figure shows a joint of sheet metal and weldable nut by pressure welding. 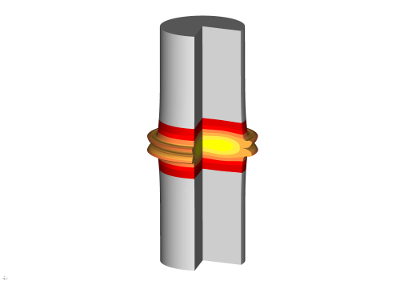 The figure shows two joined shafts by friction welding. This delivers high accurate results and flexibility in designing and modeling your processes. 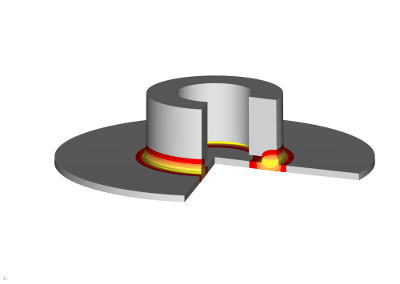 The pressure welding module can also be used to simulate electro upsetting processes. Friction welding and friction spot welding are thermal joining processes. The heat is generated due to friction between the components that should be joined and/or additional tools. The specialty of all friction welding processes is that the joining takes place below the melting temperature of the components. The joint is formed by heating up the materials until they are in a dough-like state. Due to applied pressure a type of upsetting takes place, which forms the weld seam and the weld joint. Friction welding is a process type that is suited for joining massive parts like shafts or axles. Whereas friction spot welding is a process type that is suited for joining sheet metal parts. It can be used for steel-steel combinations as well as aluminum-stell combinations. Friction welding and friction spot welding processes can be modeled in two different ways with Simufact Forming. 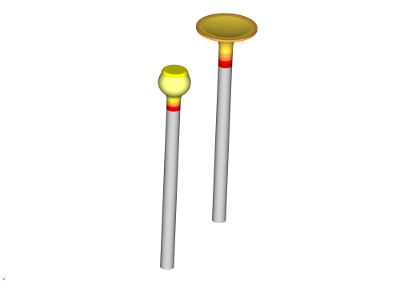 Either as a 3D model or as a 2D axisymmetric model. Furthermore, the coulomb or shear friction may not be suitable for this special friction conditions. Moreover, unrealistic high friction coefficients are necessary to generate sufficient heat compared to a real process. Independent definition and investigation of friction parameters influencing heat generation and material flow. The Pressure Welding application module can generate a 3D model of the virtual joint for different load cases (e.g. lap shear, coach peel, cross tension) with only a few clicks. User-defined result variables can help to define your failure criterion and to investigate the strength of your joint until failure occurs.